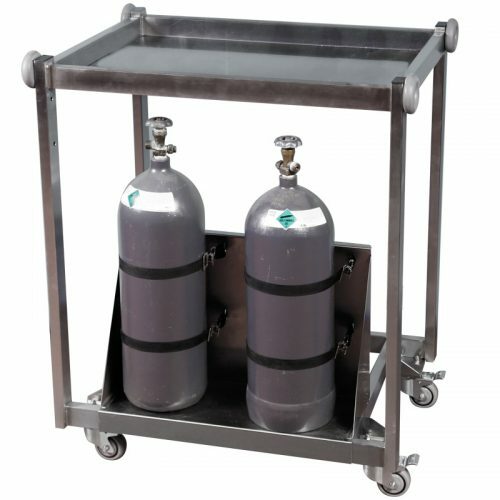 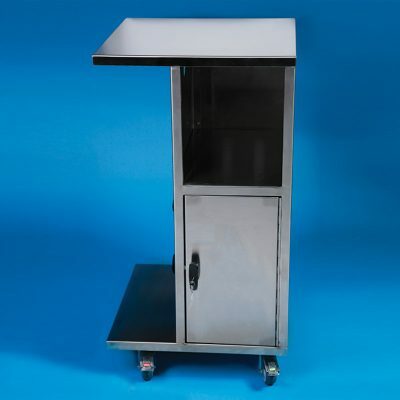 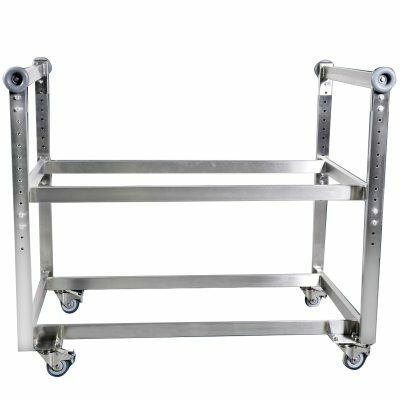 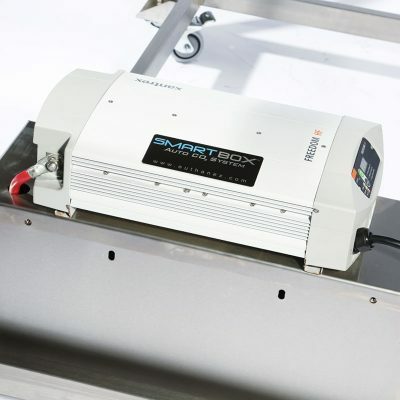 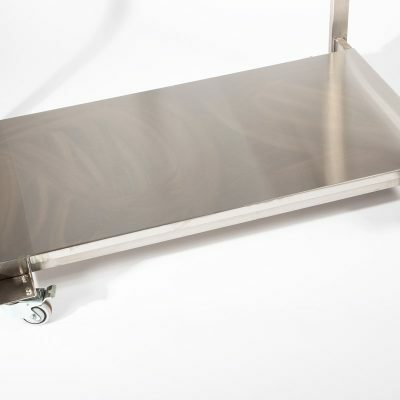 Provides the ease of mobility for a Tabletop Chamber and accommodates two 20 lb CO2 cylinders. 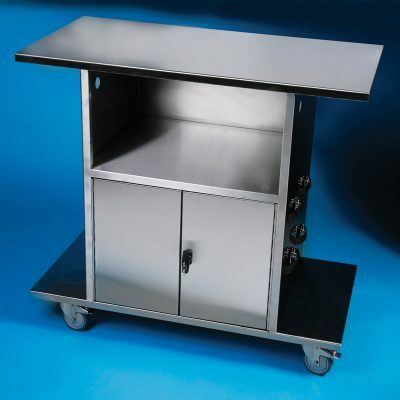 Heavy-duty stainless steel construction wtih four locking, 360° swivel casters. 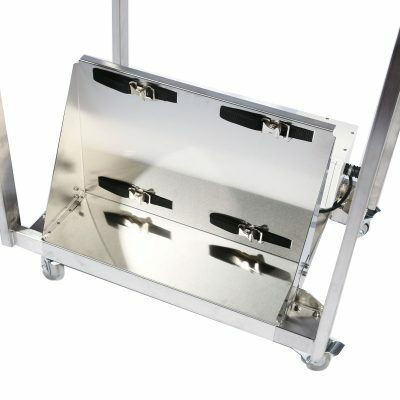 Includes tank mount to accommodate up to two 20 lb tanks.